Here is a short bit of video for a marionette I made recently. He has blinking eyes and a tongue that pokes out. I have finished editing the latest project, I need to do a nice trailer for it but until such times here is the link to make a nice carved hand puppet. As a special opening offer (until the end of February) you can buy this tutorial to stream or download for just $9.99 - now thats a bargain. 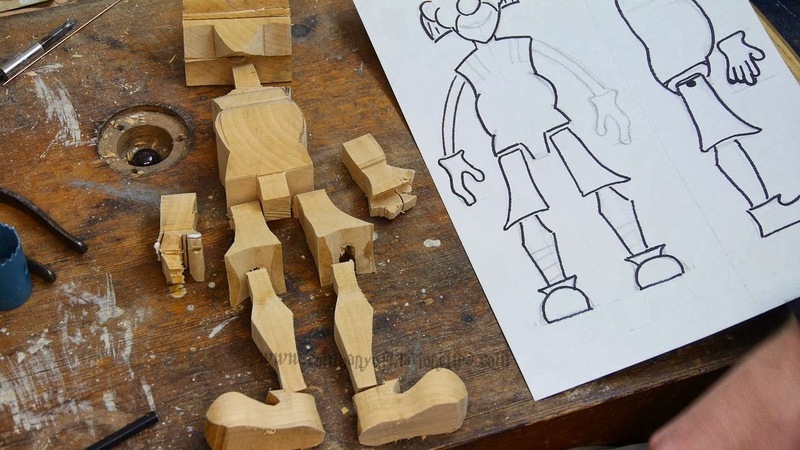 Carving Marionettes and other wooden puppets - Project 2 A Wooden Hand Puppet - Trailer from Tony Sinnett on Vimeo. We have a couple of cute Dragon marionettes in our shop now, get your Christmas orders in now to avoid disappointment. Manipulating Marionettes - Wooden Carved Series from Tony Sinnett on Vimeo. There is also a couple of special edition clear skeletons. 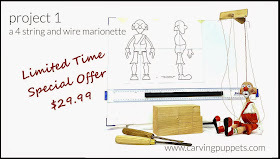 Over at www.companyofmarionettes.com we have a sale on. Please take a look and grab a bargain (particularly on some of the wooden carved and performance marionettes) and help me invest in a couple of new tools for the workshop and build even better puppets. It will also speed up the tutorials which I am running behind on at the moment. 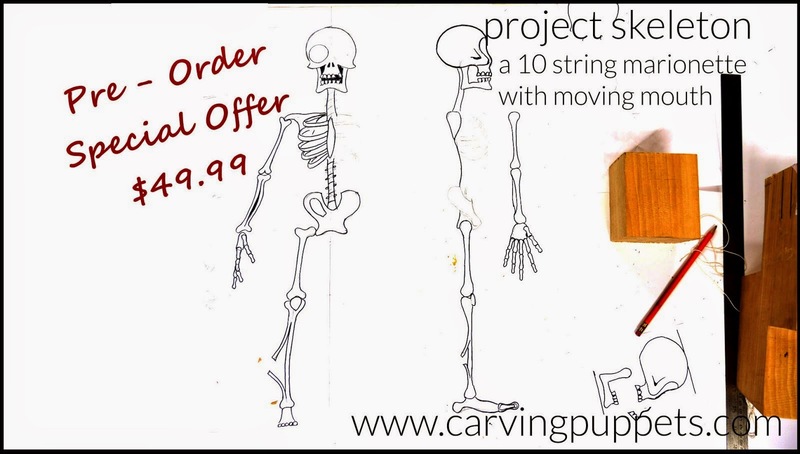 I am mid filming of building a skeleton marionette at the moment as that seems to be where the demand is. Here is the video for Ghosts, the latest collaboration with Chris Martin. The marionette was made in my spare time and represents Chris in his younger Rock days. Filmed and shot in one day with some extra dry ice effects supplied by Chris. If you want to learn how to carve marionettes and make other wooden puppets then I have put together a new site where you can find all the info and free to download patterns.